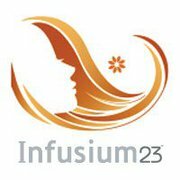 Beginning September 8, 2011 through November 30, 2011 Infusium 23 is offering a FREE Infusium 23 Leave-in Treatment Sample on their Facebook page. Open to residents in the United States and Canada. ‘Like” their page now so you don’t forget! Limit of one sample per household, while supplies last.